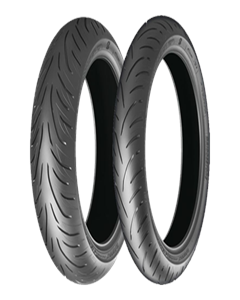 The safe feeling of T31 is generated by the innovative pattern design and compound upgrades which makes every sport touring rider confident whatever the condition. The steps made in low temperature and wet conditions are directly linked to the R&D at molecular level on how to increase the silica dispersion inside the rubber. Providing higher camber thrust due to a bigger contact patch in all lean angles, is bringing the fun factor to a new level as dry handling improved massively. A variety of options covering all modern naked and sport touring bikes including reinforced GT spec for heavy tourers.